Russell Brand's new book, publishing in September 2017, offers insights from his 13 years of recovery, which can help any reader tackle addictions and self-destructive habits. Carole Tonkinson, Publisher of Bluebird, an imprint of Pan Macmillan, has acquired world rights to two books by Russell Brand in a major deal at auction from Nik Linnen of John Noel Associates. The first book, Recovery: Freedom From Our Addictions, will be published in September 2017. In his inimitable, dazzling prose, Brand offers insights from his 13 years of recovery, which can help any reader tackle addictions and self-destructive habits - whether they're trying to give up a nightly glass of wine or a growing dependence on digital devices. Brand says this is a book for everyone. Brand has become a recognised spokesperson on addiction and he won widespread praise and recognition for his words after the terrible loss of Amy Winehouse, which were shared millions of times. His documentary From Addiction to Recovery showed Brand to be both serious and knowledgeable about the subject and his recent work running the Trews Cafe, staffed by recovering addicts, showed him putting some of that insight into grassroots action to help those in recovery. In this book, Brand, a unique stylist and gifted writer, takes those insights further - to help all who struggle with addiction in a wider sense. My qualification is not that I am better than you but that I am worse. More addicted, more narcissistic, more driven by lust and the need for power and recognition. Through this rather grim and let’s face it, at times bloody glamorous, research I’ve inadvertently happened upon some incredible people and ideas that, one day at a time, sometimes one moment at a time, lift me out of the glistening filth and into the presence of something ancient and timeless which I believe, no matter what your problem, will give you access to The Solution. I wrote to Russell on January 1st 2016 asking if he would write this book, because I woke up thinking that if there were one book we could publish that would make a huge difference it would be this book. I'm passionately interested in this subject and I think a lot of the existing literature can leave younger readers cold. Russell is the only person I can think of who could write such a book. I am beyond thrilled that he has chosen to entrust this important project and the follow-up book to us. 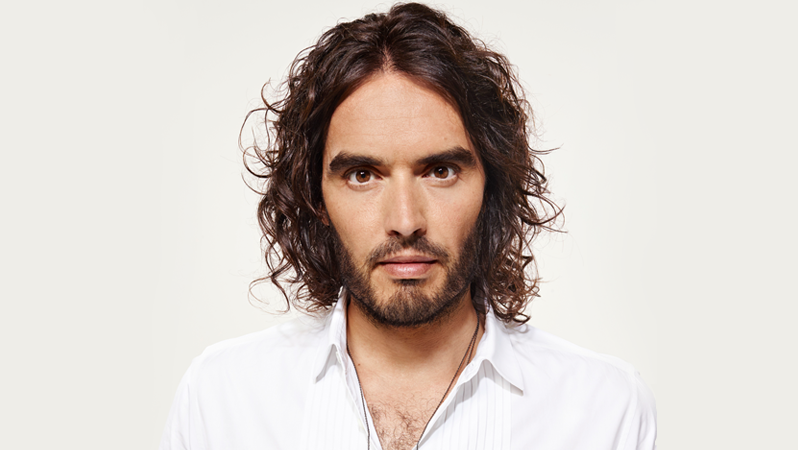 Recovery, by Russell Brand is published in Hardback, ebook and audiobook on 21st September, and is available to pre-order now.